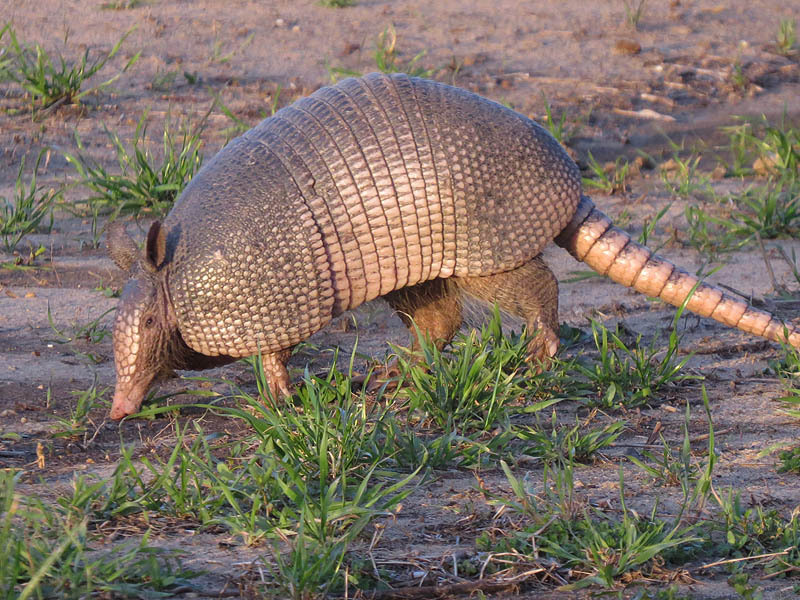 Armadillos like to come out to forage in the late afternoon. This one had made his way onto a dirt parking lot which left him well exposed for photographs. Armadillos are not the most attractive animals on the planet, but the warm rays of the setting sun paint them in their best light. 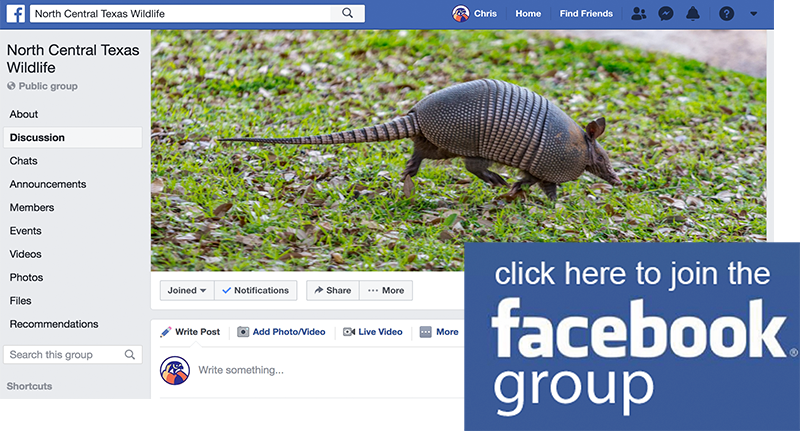 Armadillos are New World placental mammals with a leathery armor shell. The Dasypodidae are the only surviving family in the order Cingulata, part of the superorder Xenarthra, along with the anteaters and sloths. The word armadillo means “little armored one” in Spanish. The Aztecs called them āyōtōchtli, Nahuatl for “turtle-rabbit”: āyōtl (turtle) and tōchtli (rabbit). About 10 extant genera and 20 extant species of armadillo have been described, some of which are distinguished by the number of bands on their armor. Their average length is about 75 cm (30 in), including tail. The giant armadillo grows up to 150 cm (59 in) and weighs up to 59 kg (130 lb), while the pink fairy armadillo is a diminutive species, with an overall length of 12 to 15 cm (5 to 6 in). All species are native to the Americas, where they inhabit a variety of environments.